We got this note from a fan who had visited Our Fair (Neighbor) City and had some important questions about doughnuts that we couldn't answer. I recently traveled to "your fair city" for a conference and while I love visiting Boston, I discovered something very perplexing. I've walked into several Dunkin' Donut stores and, based on this exhaustive research, discovered that they don't carry Boston Kreme Donuts. Now I work at a Law Enforcement Agency in West Virginia and I can tell you we have two Dunkin' Donuts right outside our gate in this rural community and they always have Boston Kreme Donuts. So I guess I'm just wondering why? Do they have another name in Boston like perhaps Bavarian Cream donuts? And are Bostonians aware of this royalty free use of their town's namesake? Thanks for listening, I'll return the favor at 10 am. Ps. Sometimes I guess it’s just hard to get over those geographical-cultural issues. If you come visit us, I’ll treat you to a couple of Tractor Wheels. 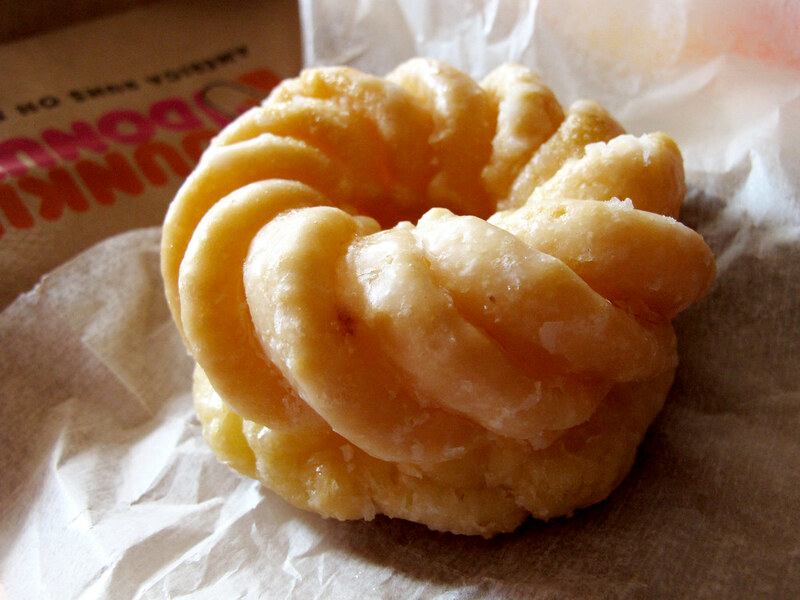 I think you call them Crullers. Is this a geographical-cultural issue like Terry suspects? Got a theory on why Terry can find Boston Kreme Doughnuts in West Virginia, but not on his recent trip to Our Fair (Neighbor) City? Post it in the comments.